Greg’s #1 passion (*cough* obsession) is real estate! And it shows! As soon as you meet him you’ll see his enthusiasm for the industry and feel comfortable and at ease with his wealth of knowledge and approachable personality. He knows the importance of second-to-none customer service and has built his business on repeat and referral clients. He prides himself on always being available (well, almost always...everyone needs sleep!) 7 days a week for his clients whenever is best for their schedule. This is something that truly sets his business model apart from other professionals and will be priceless in your real estate journey, whether buying or selling. above all else spending time with family. Greg has lived in the Guelph area since 2003. Originally from Thunder Bay in Northwestern Ontario, his love affair with real estate started young, visiting open houses for fun. How many kids like touring open houses?! If that doesn’t say it all, we don’t know what does! Ok, so he's a nice guy, but what are his qualifications? 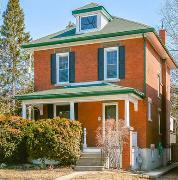 A University of Guelph graduate from the Bachelor of Commerce Housing and Real Estate degree, gives all of Greg’s clients access to the immense knowledge he gained from a rigorous 5 year industry geared education. How many realtors out there have this? As far as we know, only one other in the area out of the several hundred that are licensed! You wouldn’t trust a doctor without formal medical education so why expect any less from your professional realtor who is handling what is likely the largest financial transaction of your life? Having been licensed through OREA College and working full time with RE/MAX Real Estate Centre Inc., Brokerage for over 10 years, Greg knows all there is to know about ensuring your purchase or sale is maximized to your best benefit! And he has the proper strategies in place to achieve these results in the least stressful way for his clients. His proven business models that have been utilized over the last decade guarantee success. He is constantly striving to be the best and be at the leading edge of new ideas/strategies. He has real working background in residential construction, property management, marketing and finance. His countless awards are proof of his fantastic ability! Alright, we're sold on Greg. How can we be sure the Brokerage he works with is the best for us though? When people think real estate, RE/MAX is always top of mind even on an international stage as the most recognised name in the industry, outselling the competition 3 to 1. 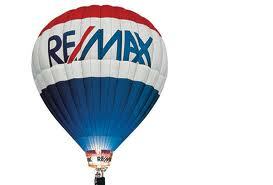 RE/MAX Real Estate Centre Inc., Brokerage is the largest RE/MAX franchise in Ontario. There are 16 in house offices located in Guelph (2), Fergus, Kitchener/Waterloo, Cambridge, Burlington, Mississauga (2), Brampton, Erin, Milton, Shelburne, Orangeville, Georgetown, Waterdown, and Hamilton. This means all of Greg’s clients have direct access to so many more opportunities: marketing avenues, print/design publication center, on and off market listings, etc. than any other brokerage. Period. No other brokerage has this much direct in-house networking exposure. This also means Greg can help you with your real estate needs at any of these locations. Greg believes in providing the best to his clients, and this brokerage helps him do just that! Some other brokerages may look cool or have nice pictures hanging on their walls too, but none have the power, recognition and immense exposure of RE/MAX Real Estate Centre Inc., Brokerage to get the job done right.